Disclaimer: I say Sapa is traveling toddler approved because our son loved it but it might not be “traveling parent approved.” So read on to see if this is a trip for your family or not, it’s not an easy one depending on your physical fitness abilities but it was a lot of fun. So in the last post about Halong Bay, I told you about how we had booked a package deal with Indochina Junk for a tour of Halong Bay and Sapa. 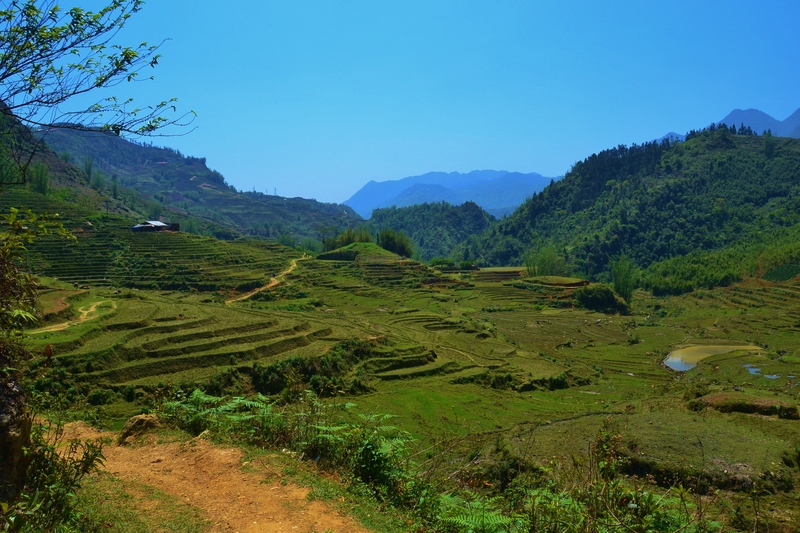 The people at Indochina Junk coordinate with a tour company in Sapa to make this a seamless process; all you have to do is show up. The van from Halong Bay to Hanoi took us to a beautiful hotel (this is all part of the package so no extra planning on your part) right by the train station where we could relax, shower, have dinner and nap. Since our train didn’t leave until almost 10pm we took full advantage of the down time. At 9pm, we scooped up the sleeping toddler and made our way to the lobby to meet the representative from Indochina Junk, who took us directly to the train station and put us on the train to Sapa. The walk took about 5 minutes to the station. I was happy to see we were among many families being herded by tour guides to get tickets and find the proper cabin.